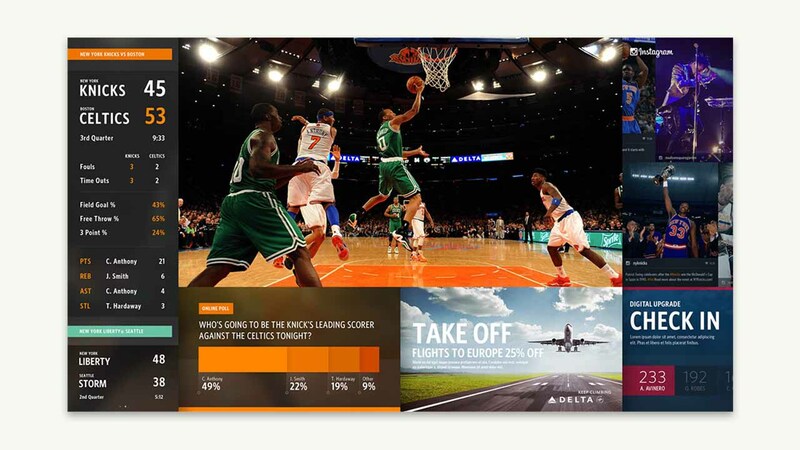 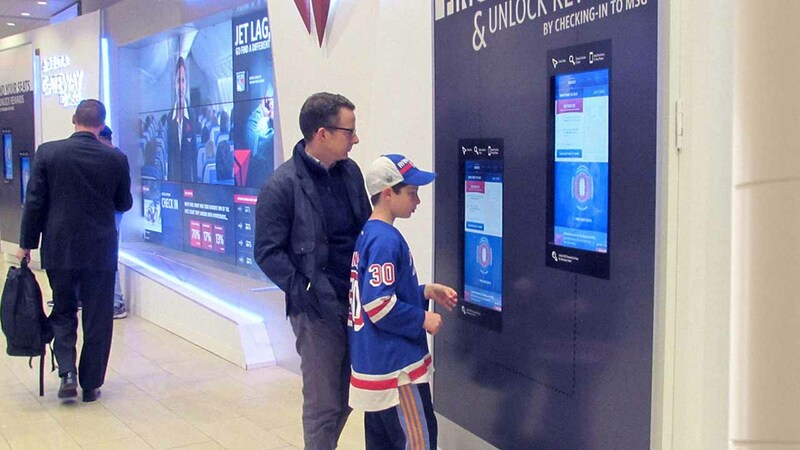 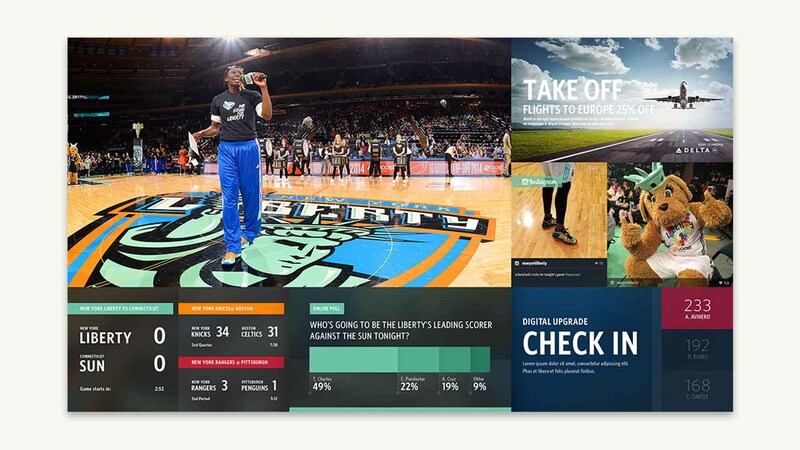 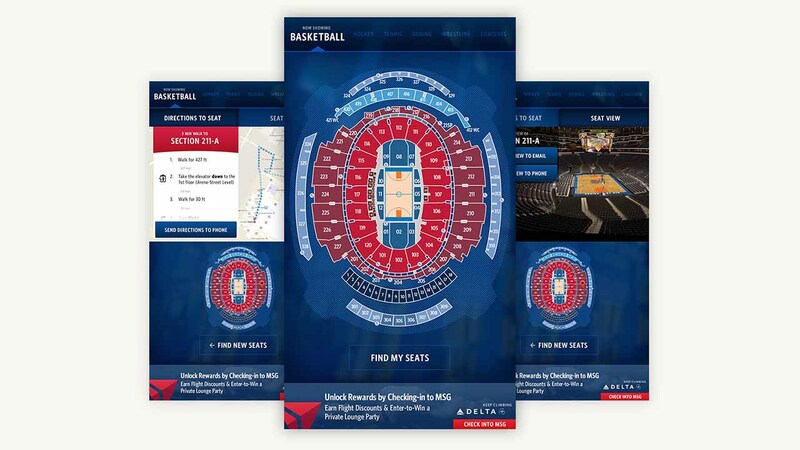 With so much to see and do in the World’s Most Famous Arena, it was important that Delta provide relevant content to effectively engage passersby, but by focusing on the MSG customer journey, they could surpass expectations and provide a critical service to all ticketholders. 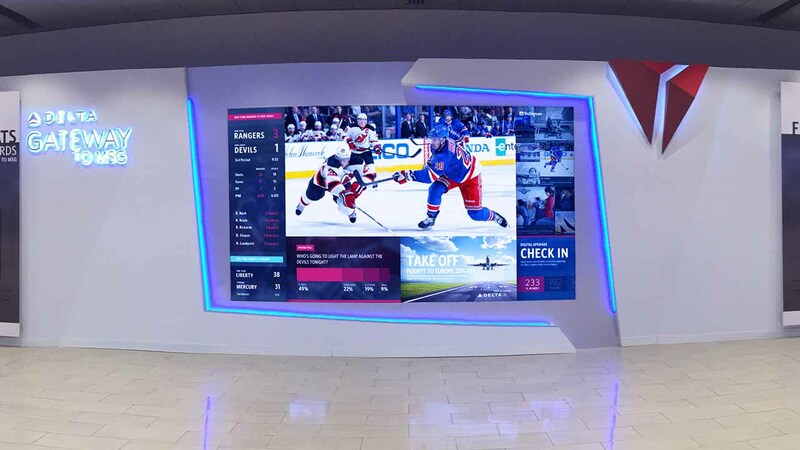 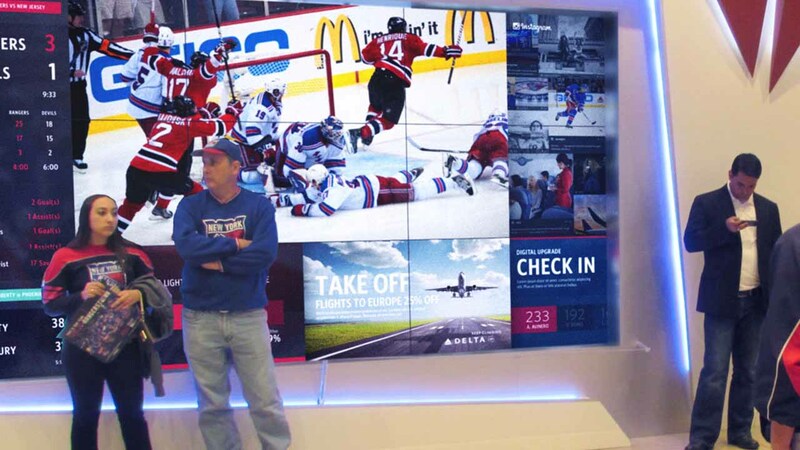 Using an oversized 4K resolution display, the digital installation featured real-time highlights and stats of Knicks, Rangers and Liberty games so visitors never missed a moment when they were away from their seats. 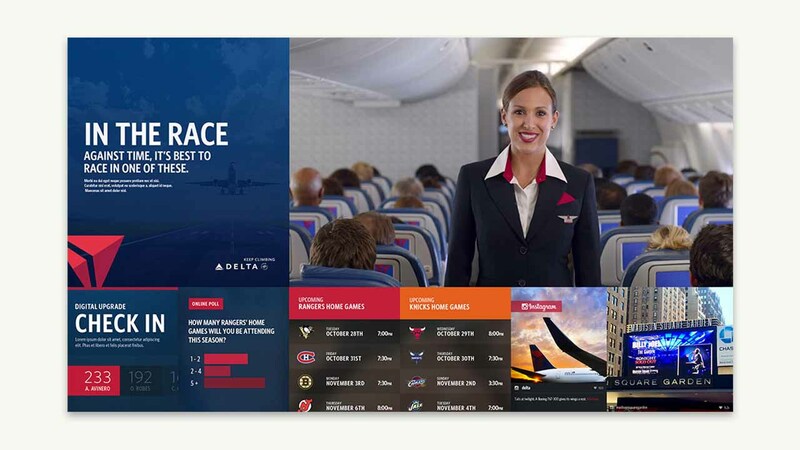 Delta also used the Gateway to communicate directly with visitors via targeted messaging and calls to “Check-In” for special offers and promotions. 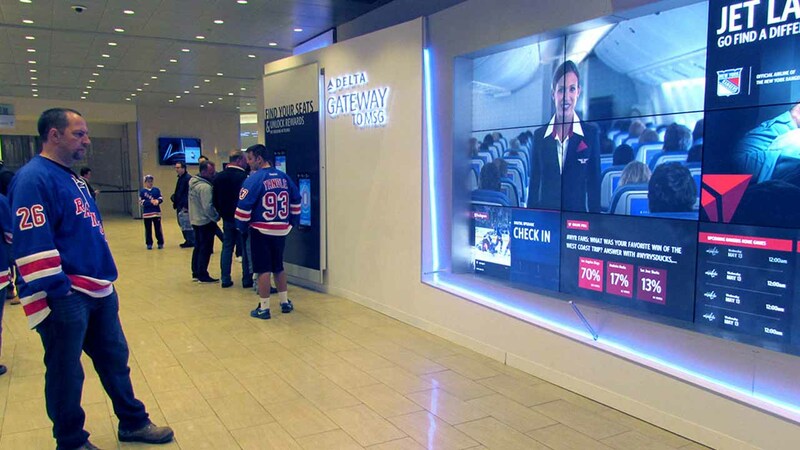 In addition to content however, the Gateway was flanked by Delta Seatfinders – touchscreen displays that guided visitors to their seats and even delivered personalized directions to their phones. 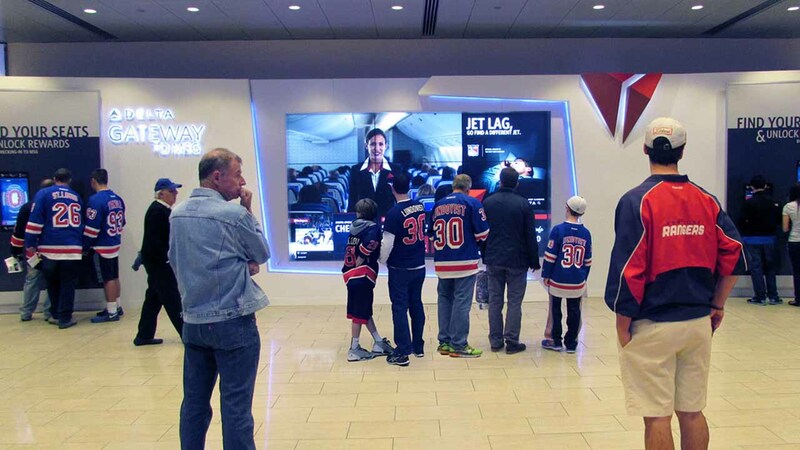 Delta SkyMiles members were also invited to Check-In and win a chance for free seat upgrades. 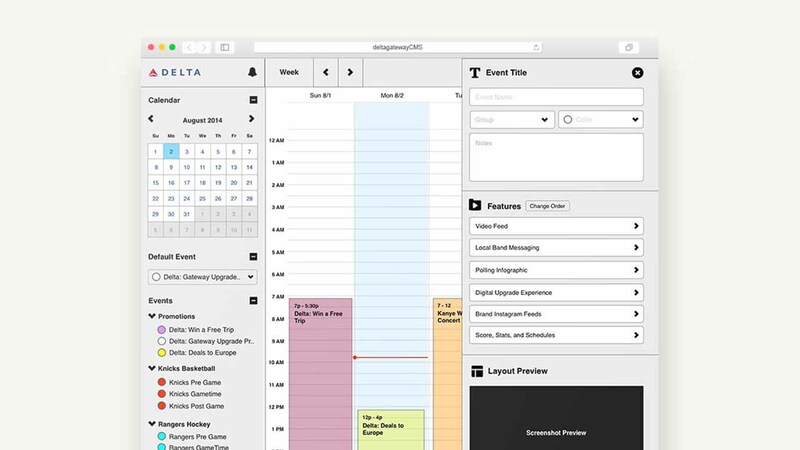 The highly interactive system was built on a custom CMS with an intuitive dashboard so Delta’s teams could easily add and manage dynamic content including social feeds, travel info and event info.